Some suggestions for carry when wearing shorts and a T-shirt. Last edited by Rick McC. ; 07-08-2018 at 06:09 PM. Summer, winter, I wear shorts and t-shirts year around and always carry the same way, well I do have a couple choices now, either a Panther or a snapcake from Little Bear. I do wear a smaller gun when I put on a golf shirt to go out as they fit a little tighter than my t-shirts. Panther Concealment OWB works for me year round, and hides under a Tee shirt. No damn mouse guns for me, either! 9mm is my minimum. I have just adopted my 1st Paddle Holster from Fobus. Since my daily attire is the same as flphotog it works just fine. Very comfortable, so much so that I hardly know it is there. 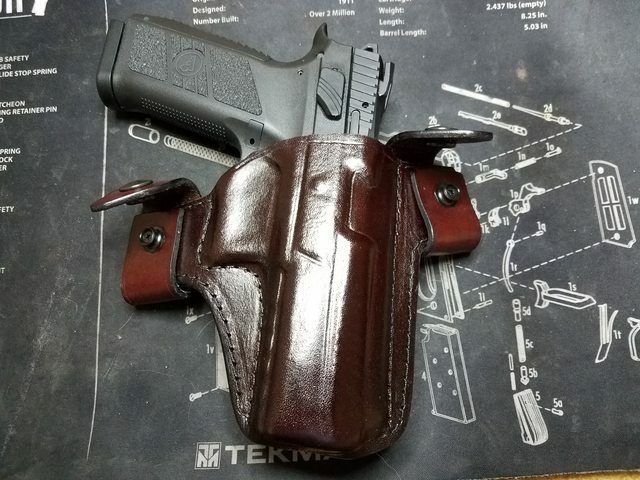 I'm with you 100% Rick, Panther Concealment OWB, but I've added a couple of leather snap cakes from Little Bear for days when I'll be carrying all day with no need to take it on and off, a bit more comfortable but just slightly less concealable, at least for me. Yeah, I have my Brommeland Gunleather IWB’s, and some Wilson Combat and Mitch Rosen holsters, too. Then there’s my “fancy” leather stuff from Warbird Leather. That said, the PC OWB’s are the ones that get used a good 99% of the time. 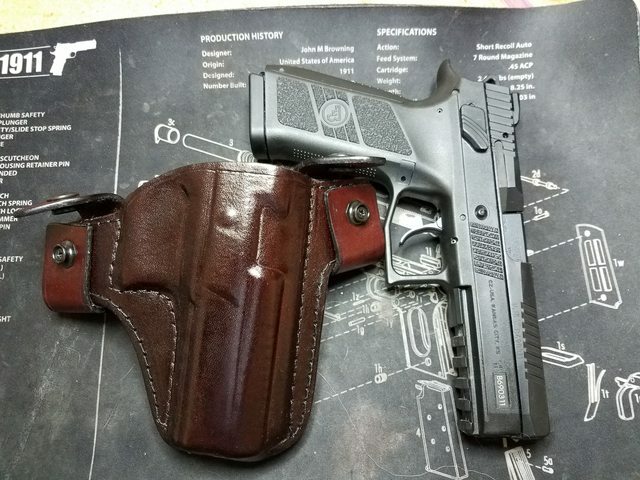 Just added this one from Little Bear for my CZ P-09 even this one carries under a t-shirt if is on the loose side and my bum around t-shirts are all loose, cooler that way. Nice bit of kit, Sir!